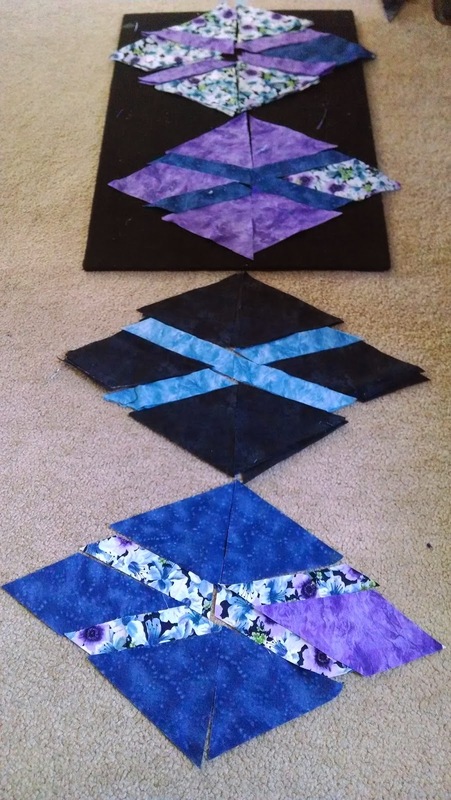 I am starting a new quilt. First I will make many triangle units? I am learning a new art. Autumn and I are taking pottery classes at Blue Ridge Community College. 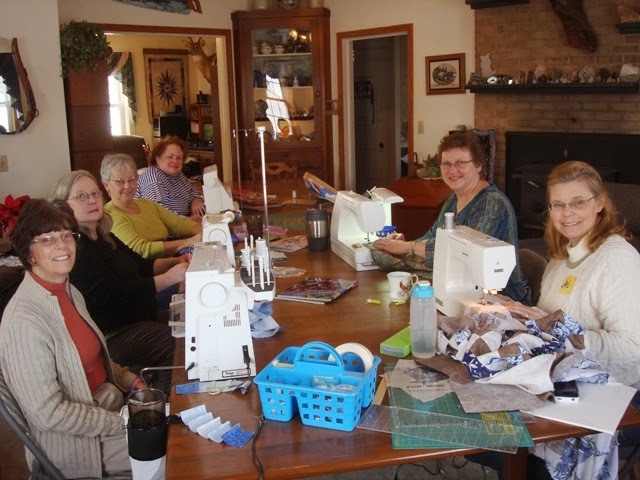 A few ladies came to my house for a quilting day. What a fun time we had together! Bonnie working on the Star Tricks pattern. 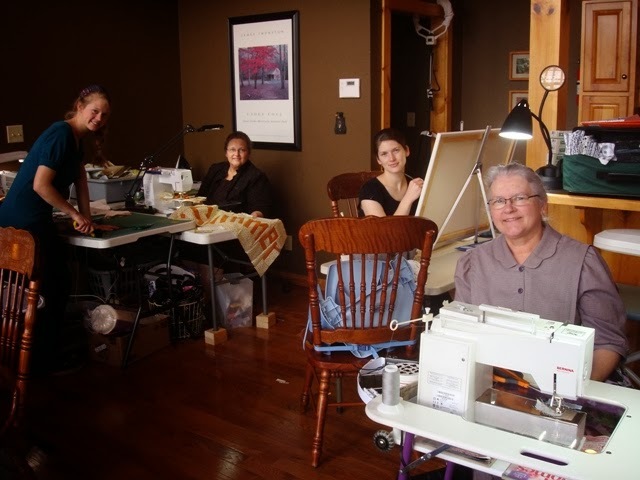 My sisters and our dear Mother at sewing retreat. 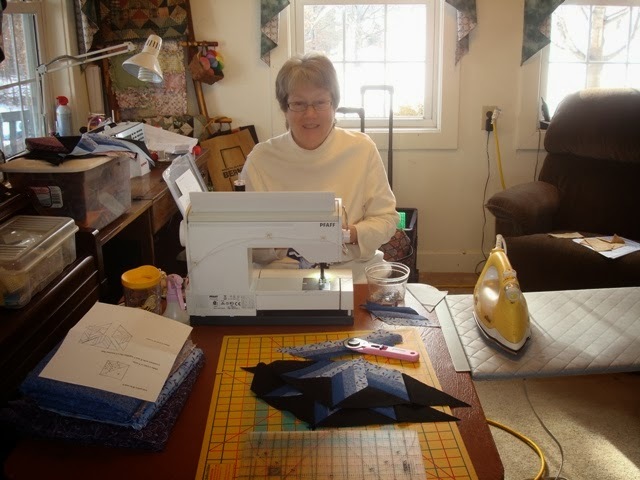 The next few pictures are a glimpse into our sewing retreat. Mother with her Grandmothers Flower Garden. Amy worked on Spinning Pinwheels. A few of the nieces join us which always adds spice to the party. Painting was also a part of the retreat. Ironing, hand work, writing and resting all make a wonderful atmosphere. 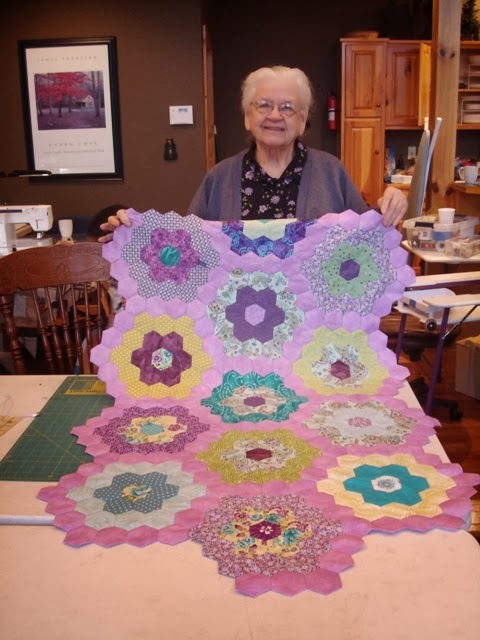 Rebecca worked on her quilt from Jan Krentz's book. Autumns projects she designed and worked on. Julia creating “Fiesta Fireworks” for a quilt contest. 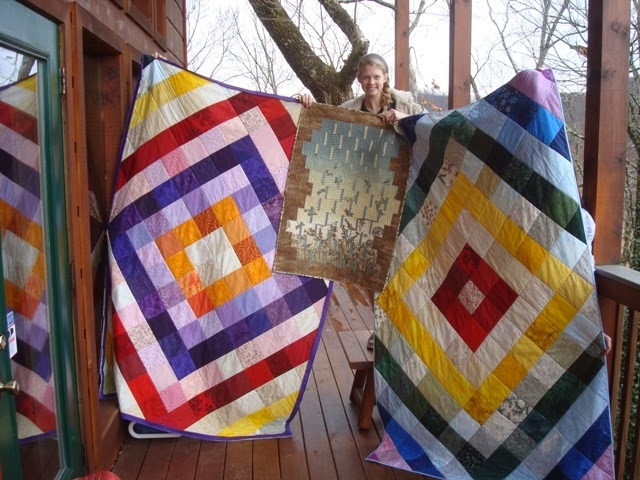 Some of the quilts we finished. Polly made this quilt for her granddaughter. 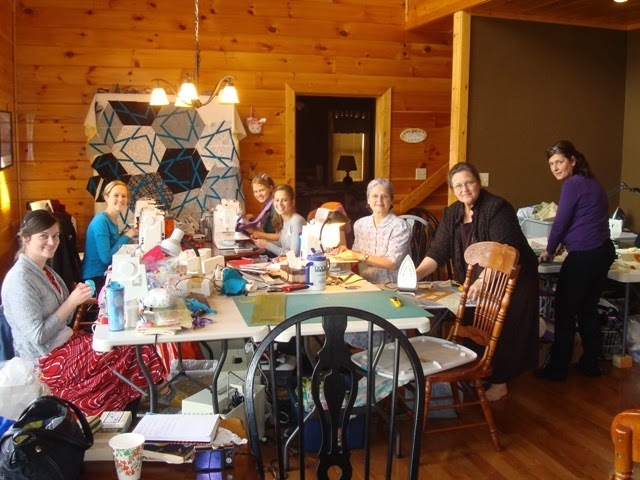 After 10 days our fun came to an end and we had to pack up and leave, but we have plans for another family sewing retreat. We have the most fun together! Now I savor the time together and start looking forward to another year. i so wish i could join you two at the pottery class!!!! Wow, this looks like amazing memories. How fabulous to spend time with family doing what you all love. Pottery class sounds great too. Learning pottery will be so much fun, that is on my list! 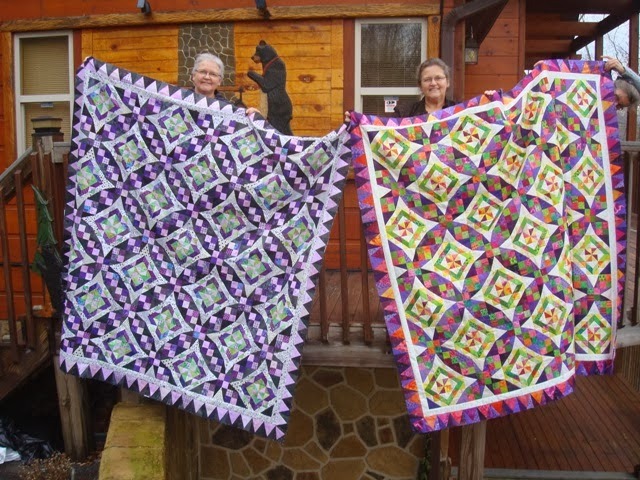 Your family quilting retreat looks like a wonderful time with lots of beautiful quilts! Thanks for sharing. 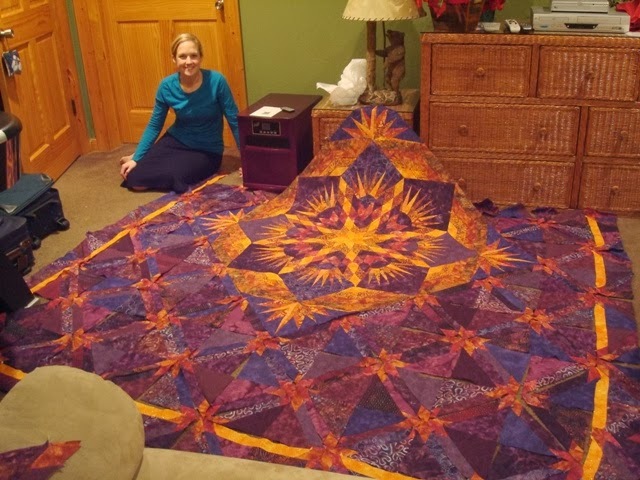 awesome quilts, I love them all, such a wonderful variety!!! I always enjoy viewing your family blog albums. 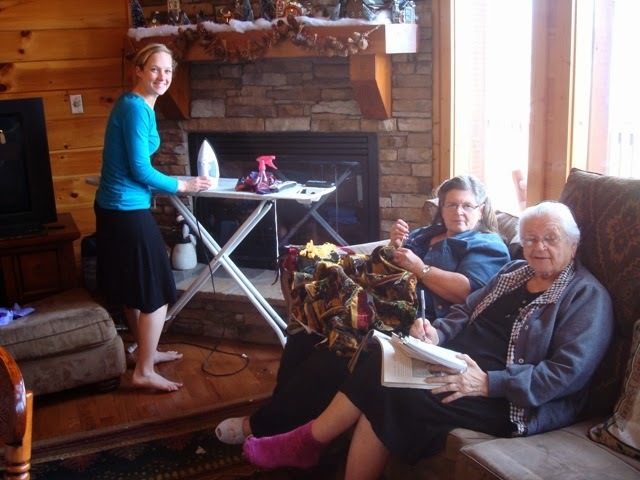 The quilts are stunning and the family gatherings look so inviting. It is so wonderful that you can share these experiences with your family! 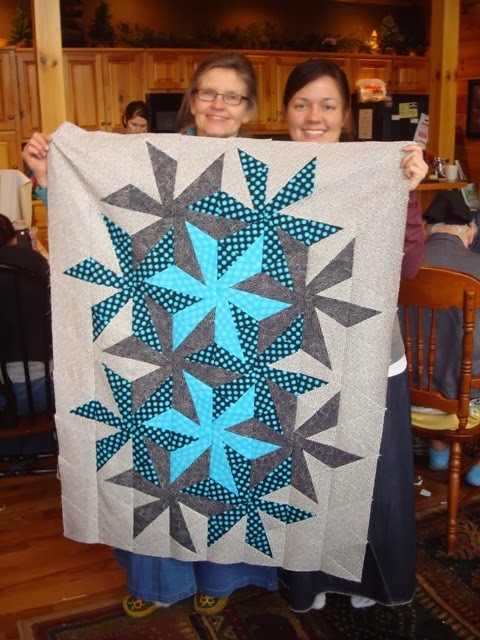 You are all working on some beautiful quilts!